When new housemaster Mr Harold Quinton Jones arrived to take up his post at historic Osbourne Lodge College he decided to keep a diary. A new term begins and sixth former Joe Templeton (Matt Mills) is going back to join his mates in Alamein House at famous St Datchet's Academy. Captain Willard T. Morteton runs Pine Valley Reformatory in the best possible way. An ex military man who believes in the firm smack of discipline and the boy inmates sure know it ! The Final chapter in the legendary Punishment Book series making it a real six of the best. Ten more stunning lads all in need of some good old fashioned discipline. 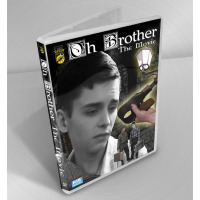 Featuring over ten unruly lads all in need of strict discipline. 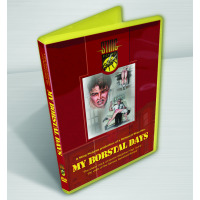 College guys, Borstal boys and for the first time in the series an Asian style judicial scenario. A change is in the air, a slightly new look but all to enhance the on screen value of 'The Punishment Book Volume Four'. Now up to speed, the cane, birch and paddle whistle down on target. The strict discipline and really bad lads of 'Volume Three' keeps Sting Pictures well on track for another winner.